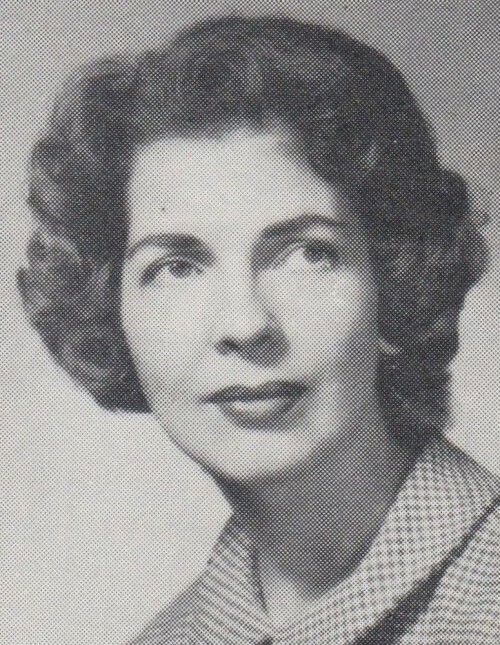 Paula Paulson Crittenden died of natural causes at her home on March 21, 2019, at the age of 93. Paula, better known as Granny, will be greatly missed by her family. Paula was born in Ogden on December 18, 1925, to Alta Hampton and Lawrence Paulson, the exact same day her future husband, Paul Crittenden, was born. She grew up in Ogden with her eight siblings and graduated from Ogden High. Paula married Paul Crittenden in 1943 just before he began serving on a Navy submarine during World War II. During this time in the Navy, Paul and Paula lived in Connecticut, San Francisco, and Vancouver, Washington, before moving to Peterson, Utah, to raise their four children: Paul, Lynn, Joy, and Julie. Paula lived a full life and enjoyed reading novels, cooking, hunting, and gardening. Paul and Paula enjoyed spending time at their cabin in the Uinta Mountains. She loved to hunt with her children and grandchildren and was especially proud of her trophy moose. Paula was known for her impressive vegetable garden and canning skills, and she loved to experiment in the kitchen. Her bread, butter and jams were renowned. Paula’s grandchildren will also tell you she made the best toast and waffles in the world! Paula was smart, strong, and one-of-a kind. She was loved and admired by everyone that knew her and she was always ready to help anyone in need. Paula was preceded in death by her husband Paul, daughter and son-in-law Lynn and Jack Hannum, and daughters Joy and Jean. She is survived by her sister, Ruth Nelson (Glen), son Paul (Sharon), daughter and son-in-law, Julie and Dave Croft, and many grandchildren, great-grandchildren, and great-great grandchildren. Per Paula’s wishes, there will be a short, graveside gathering at South Morgan Cemetery on Tuesday, March 26, at 11:00 am. In lieu of flowers, the family requests that you donate to the charity of your choice or take your family out to dinner in memory of Paula.